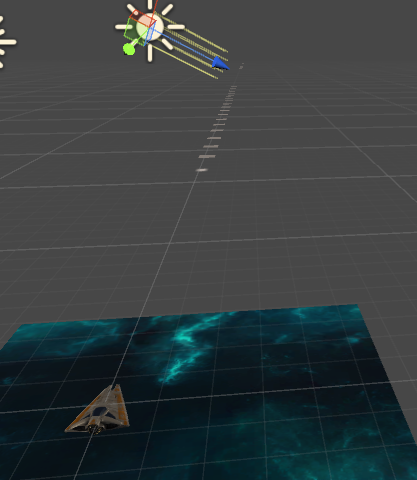 This walkthrough of the Unity 3D tutorials continues with the code and methodology for deleting objects and creating enemies, obstacles, and even explosions. You can catch up on Day 2 here. Leaving off from last time, we created bullets that would fire off from the ship, but if you were to look at the game hierarchy pane, you would see a lot of the bullet objects would just remain there. The more you shoot, the more you’ll have. So what gives? If you were to pause the game and go to the Scene tab, you’ll see that the bullets actually keep going, never disappearing. Is this a problem? You bet it is! The more GameObject we instantiate, the more Unity has to calculate, which means our performance will suffer! What we’re relying on for this is the OnTriggerExit() function. As you might suspect, by the name, the function gets called when a collider leaves the object it’s colliding with. When we trigger the code, we would Destroy() the object, which in this case is the laser. Afterwards, we attach this script, you’ll see that the lasers disappear. AngularVelocity is the speed of how fast the object rotates. In the video, we’re using AngularVelocity to create a random rotation of the object. We do this by using Unity’s random function. Specifically, we chose to use insideUnitSphere to create a random position Vector that’s inside the gameobject and multiply it by the speed we want the asteroid to roll. We’re already familiar with this code. When our asteroid runs into something, it’ll destroy both the other object and itself. An interesting thing here is that we check to see if the object we run into is the Boundary box that we created and if it is, we stop our code. It’s important that we check for the boundary, because if we don’t, the first thing that’ll happen when the game loads is that the asteroid will collide with the boundary and they’ll both be destroyed. To solve this, the video created a tag called Boundary and attached it to the Boundary GameObject. With this, whenever the asteroid collides with the Boundary GameObject, we’ll end the function call and nothing will happen. In the next video, we added some more special effects, specifically what happens when the asteroid gets hit. In the code, 2 GameObjects were made public variables. These are the explosion effects the tutorial provided: one is the asteroid explosion and the other is the player explosion. 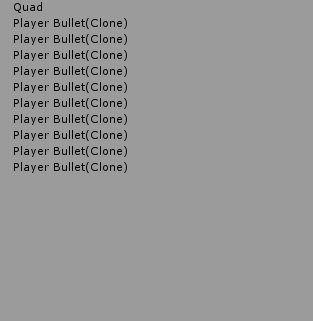 Similar to how we create a new bullet GameObject, we Instantiate() an explosion GameObject for the asteroid and if the asteroid collides with the player object (we set a tag to it), we would also make the player blow up. Once we added the code above to the script, I went back to the editor and attached my explosion effects to my script component. It’s also interesting to take note that in this video, we re-attached our Mover script to our asteroid and set the speed to -5. As a result, instead of the Asteroid moving up like our bullet, it goes the opposite direction: down. What’s important about this is that Scripts are re-usable components themselves, we don’t have to create a Script for every GameObject, if an existing script already does something that’s needed, we can just re-use the same script with different values! In the next video, we worked on creating a Game Controller. The game controller is responsible for controlling the state of the game, which in this case is generating asteroids. For the GameController script, we attached it to a new Empty GameObject. We’ll call this game object GameController and we create our GameController script for it. hazard is the asteroid and spawnValues are the range of locations where we would instantiate our Asteroids. Quarternion.identity just means no rotation. What this means for our code is that we’re creating an Asteroid at a random position and without rotation. The reason why we don’t have a rotation is that that would interfere with the rotation that we already added for our Asteroid script. Coroutines are functions that run your code, return and yield control back to rest of Unity, and then resumes again on the starting back once the condition for waiting has been met. The code will execute immediately after the next frame. Does that sound kind of familiar? That’s because they act very similarly to how Update() works! From my understanding, you can almost use coroutines to replace Update() if you wanted to, but the main benefit of using them is to prevent cramming code inside Update(). If there is some code logic that we want to use only once a while, we can use coroutines instead to avoid unnecessary code from running. This happens because we call the coroutine multiple times, specifically, once per frame and then after a second, the function will start printing when i = 1 while Update() is still making new coroutine calls that print when i = 0. Besides the coroutine, the rest of the code is pretty straightforward, we add a couple public variables for waiting time. Moving on from creating our waves, whenever our ship destroys an asteroid, we create an explosion. However, that explosion never disappears. This is because these explosions never leave our boundary. What we do is attach the DestroyByTime script to the explosion. The script will destroy the explosion GameObject after a set amount of time. The code to do this is pretty straightforward. I’m going to call it a day! In the next part of the series, we’ll be looking into creating UIs and audio to finish the space shooter game. Published at DZone with permission of Josh Chang , DZone MVB. See the original article here.